Northeastern Illinois University will celebrate Cesar Chavez Day of Service by building a community garden and green space in an area that once housed the largest WWII victory garden in the U.S.
“We are honoring Cesar Chavez’ struggle to gain rights for agricultural workers by doing physical labor in our neighborhood and creating something beautiful out of it,” said Barbara Cosentino, associate director of student leadership development, who works with students on civic and community engagement programs at Northeastern. Cosentino added that this is a great service learning opportunity for all students who want to apply knowledge from the classroom to the real world. 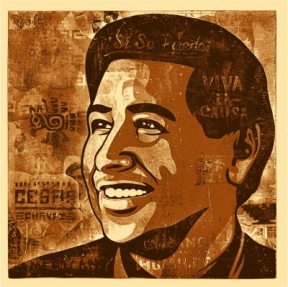 Cesar Chavez Day of Service will be held Saturday, March 29 on Northeastern’s Main Campus, 5500 N. St. Louis Ave, Chicago.